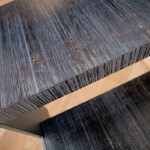 Structure painted with micaceous iron glaze , 609.0413 finish, blue-grey. 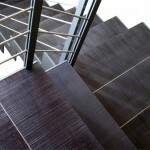 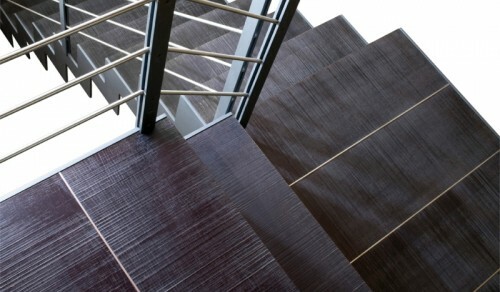 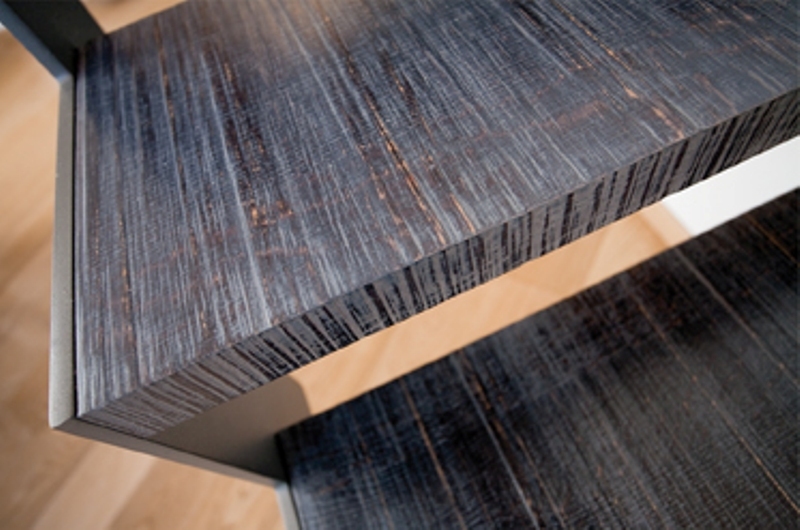 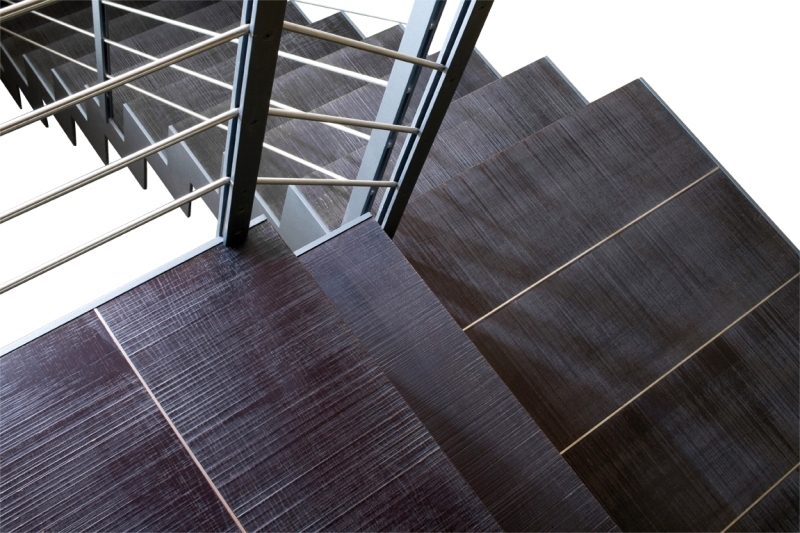 Durmast solid wood tread ,Ocean finish, cross etchings on the wood grain, handmade and intentionally irregular, patented finish-design by Perusko-Sartori. 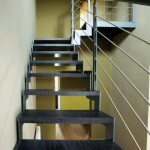 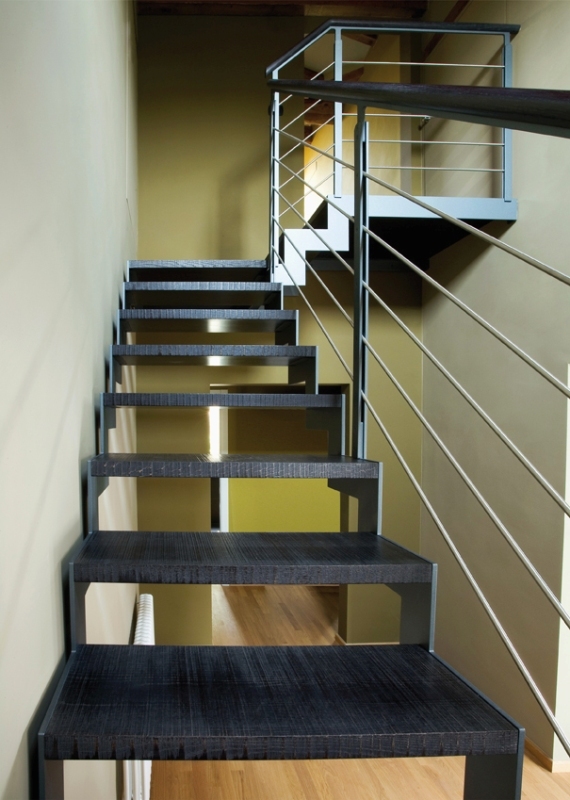 Landings and fan steps with stainless steel beams every 30/35 cm. 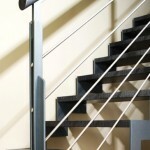 Tread fixed to the structures with soldered steel wings and recessed teeth with no viisible screws. 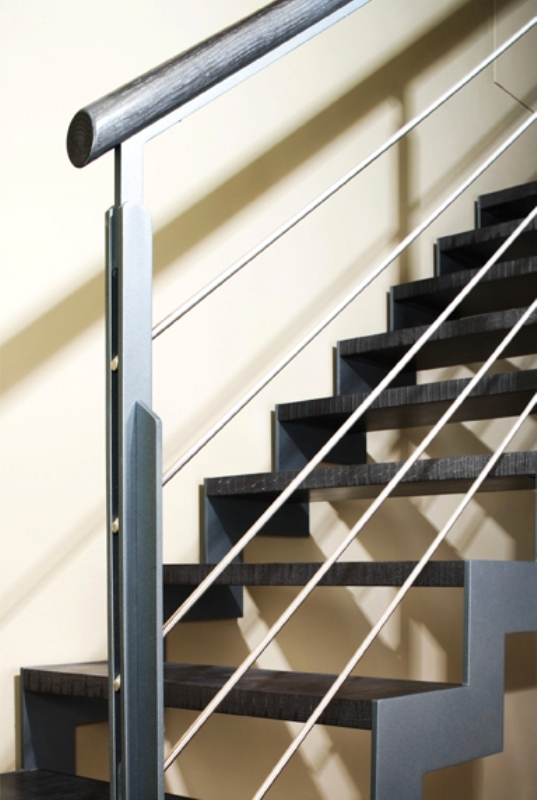 AIR6C WOOD banister: 5 satin-finish stainless steel rails, wooden handrail on steel shaped bars, spindles with steel double plate.